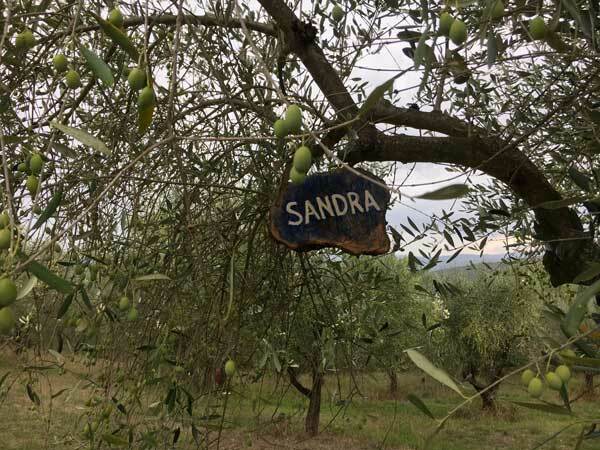 Crowdfunding can be a great way to help from below the micro-olive growing in Tuscany. By micro-olive growing we mean very small scale companies, just like us in the Oliveta della Torre, who have limited plots of land (5-10 acres) and to whom the oil produced makes it possible to obtain very narrow margins and in any case not sufficient to invest in the modernization of plants and/or new cultivation techniques. 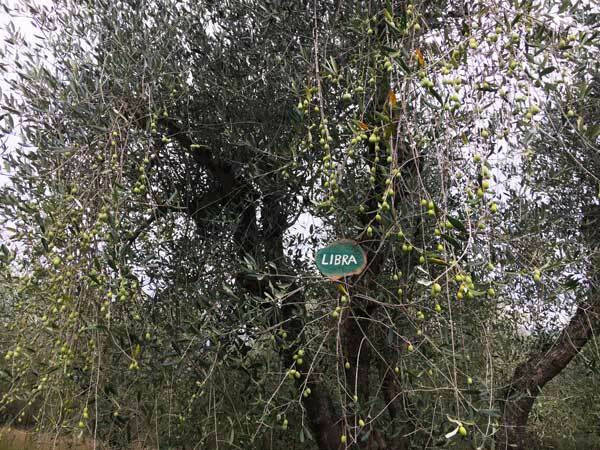 This discourages and increasingly pushes farmers to abandon olive groves. Unfortunately, the phenomenon is much more serious than we think, as this article explains. It is a real pity because the Tuscan oil, which already contributes only 3% of the Italian olive oil production today, is destined to decrease further. 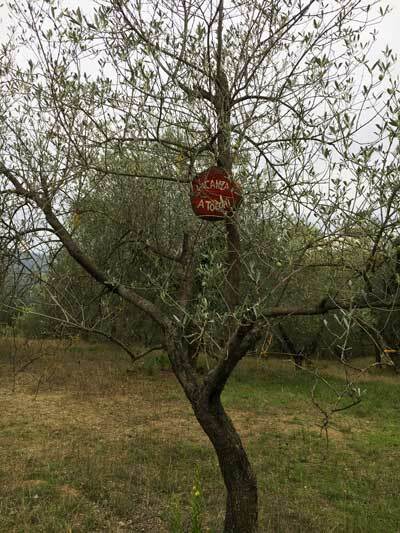 Not to mention that, famous all over the world for its valuable organoleptic characteristics, Tuscan olive oil will also be increasingly subject to commercial fraud. With our crowdfunding initiative Adopt a Tuscan Olive Tree, we give the opportunity to adopt a tree through an Adoption Voucher. We also offer the possibility of purchasing EVOO-Vouchers. Buying an EVOO-Voucher today gives you the opportunity to exchange it for our extra virgin olive oil within the next three years. 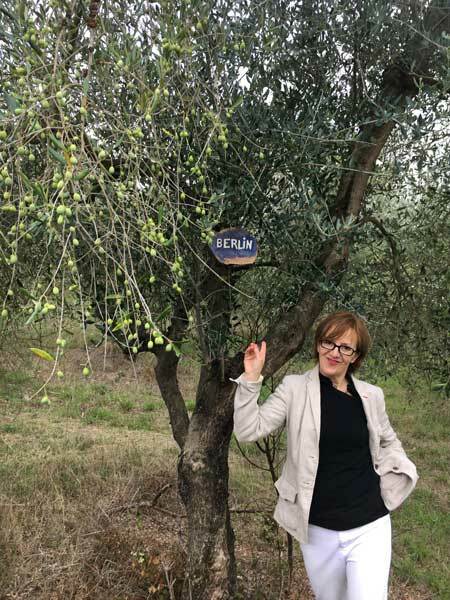 The aspiring godmother or godfather pays 60 euros to adopt an olive tree. This amount will be used to treat and maintain the olive tree for 1 year through activities such as pruning, harrowing and fertilising. In return we will send a personal photo-certificate with the name chosen for the adoptive tree. We will also apply a hand-made nameplate to the plant, which will be affixed forever. 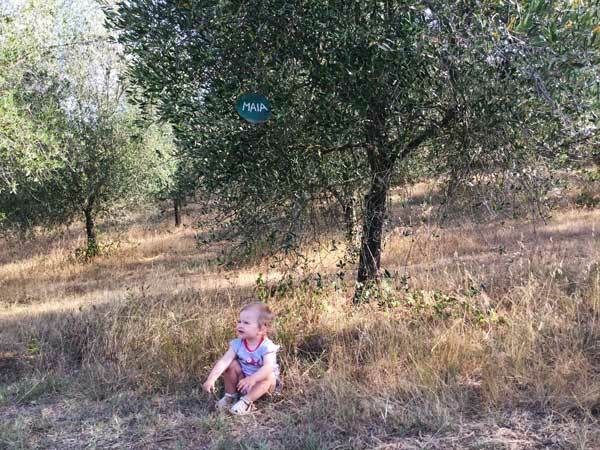 There are those who dedicate an olive tree to his or her wife, who baptize it with the name of the newborn child. There are also those who dedicate it to a particularly beautiful and significant experience of their lives. In addition to the Adoption Voucher, our crowdfunding project includes the possibility of purchasing EVOO vouchers for our olive oil. You can choose 50, 100 or 150 euro denominations. Vouchers are personalized and redeemable within 3 years from the date of purchase. They are valid for all types and sizes of EVOOs that we have in stock at the time of collection of goods. On request we can also ship the goods to your home, in which case the transport is the responsibility of the consignee. 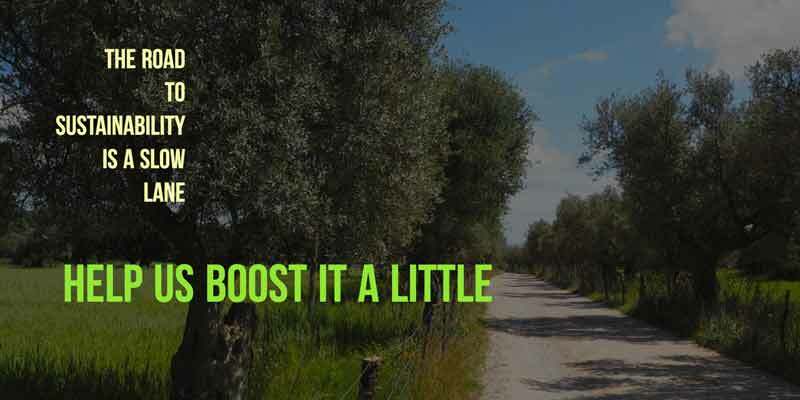 In short, if you want to make a good action for small olive growing in Tuscany and at the same time buy or offer a high quality Tuscan Extra Virgin Olive Oil (more than ever rarer), you just need to join our project Adopt a Tuscan Olive Tree. Contact us for more details or select your preferred crowdfunding options directly using the Paypal-buttons below.